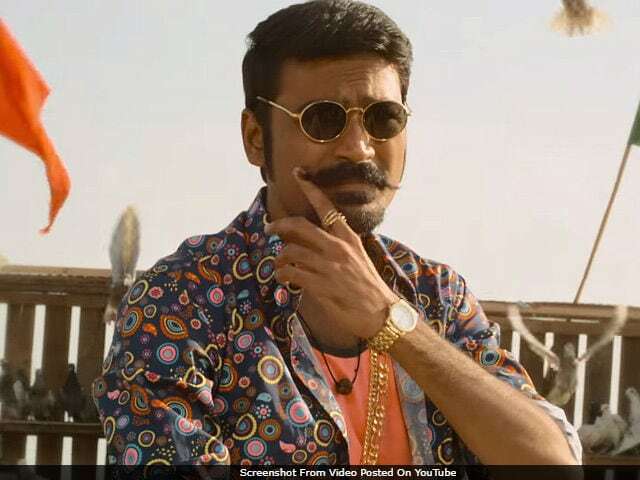 On Thursday evening, south star Dhanush's upcoming Tamil film Maari 2, suddenly became one of the top trends on the Internet, courtesy director Balaji Mohan's tweet, where he mentioned the name of the lead heroine. So, actress Sai Pallavi has been roped in as the leading lady of Dhanush Maari 2. "The vibrant Sai Pallavi is the heroine of Maari 2. It's a character that's right at the heart of the story of the film," he tweeted. The tweet which was shared just a few hours ago was retweeted over one lakh times and counting. Soon, Sai responded and tweeted, "Thank you. I'm really excited." The film will be made in Malayalam also. Read their Twitter exchange over here. Maari 2 is the sequel to Dhanush's Tamil hit Maari and will be simultaneously shot in Tamil and Telugu as a bilingual. The project marks Balaji Mohan's second collaboration with Dhanush. The first film starred Kajal Aggarwal opposite Dhanush. Maari 2 is expected to go on the floors from October. Malayalam actor Tovino Thomas has been signed to play the antagonist. "After Tharangam and Maradona, this will be my third collaboration with Dhanush. I'm really excited to be part of the project. I'm looking forward to start working on this project," he told news agency IANS. Of casting Dhanush in Maari, director Balaji Mohan earlier said, "I have been Dhanush's fan right from his first film. I've always liked him as an actor as well as a star. The way he carries himself in both unconventional as well as commercial roles is amazing. Maari, in a way, is exactly how I have always wanted to see Dhanush onscreen," Balaji told IANS. Actors Robo Shankar and Vinod, who were a part of the first film are also part of Maari 2.